The relationships we have, the way that we conduct ourselves, the way we look, the way we act……these are all choices that we make. Yes, there are always influences that may affect our choices but ultimately you and you alone are responsible for your choices. We all need to own and accept responsibility, recognition and praise for the many choices that we make each and every day. The one choice that is not always clear to many people is the choice of success. Success is not an option you can pick off the shelf. It is an intentional decision and one that needs daily commitment. We all know the stories of the overnight success that got there by working diligently and effectively for the last 25 years. are looking for overnight success you need to buy a lottery ticket…..and really hope you win but unfortunately the odds are dismal. You need to be purposeful and intentional that you are successful and you will stay successful…..all your life! You have a winning lottery ticket and that is you…..all you need to do is commit to your success and fill your day with activities that will make you successful. 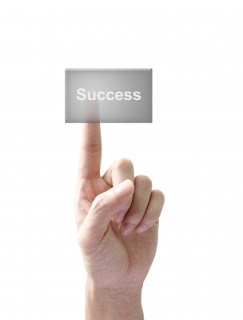 Yes, it is that easy……commit to your success…..NOW! Abundance, joy, happiness and success is waiting for you…..don’t disappoint yourself.